To be perfectly honest, there was a time as a new mother, when I remember “secretly” feeling more stress than joy. I recall my oldest boy, his strong willed determination, and how he had a special way of sending my world into a tizzy. The second child came along, so different from the first. Night and day these two. Second child… A good sleeper, calm, and a watcher. The first… NEVER slept, ALWAYS on the go, and a doer. The only thing these two seemed to have in common was their ability to work together to conquer this poor… tired momma. The third boy came along… A gift from god to aid me through my personal wilderness. He was calm, cuddly, and funny. No… This child has definitely not been perfect. He’s my sneaky one. He’s the one who finds the best hiding spots to scarf down his “hidden” Easter candy. Somehow all three boys together, seemed easier than the first. Be it their growing ages, my maturation as a parent, answered prayers for patience, acquired parental skills from the previous years, or a mixture of all the above. The final addition a little girl. An uncanny youthful portrayal of myself. She’s Sweet Caroline. She’s definitely sweet, with a similar temperament to my own. These four children are a perfect blend to our family. They are the reason I desire to become the best mother, I can be. This afternoon, we went apple picking as a family. Looking into the eyes of my children… I noticed, somewhere along the line, the “joys” of motherhood had overcome the “stresses”. I love being a mommy! I often joke to my husband that I will be one of the old ladies in the nursing home carrying around a baby doll. I’ll NEVER be ready for them to grow up. I’ll NEVER be prepared for their time to spread their wings and soar into their futures. 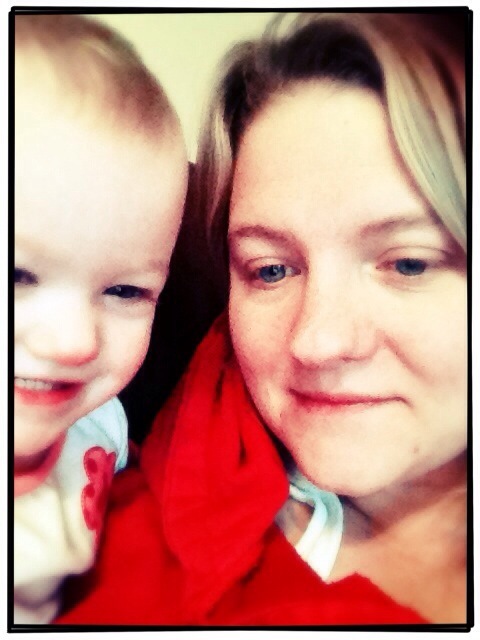 Today… I realized how much, “I love being a mommy!” I’m not sure where the joys of motherhood surpassed the anxieties. I’m sure of one thing… I love my job! I love being called “mom”!